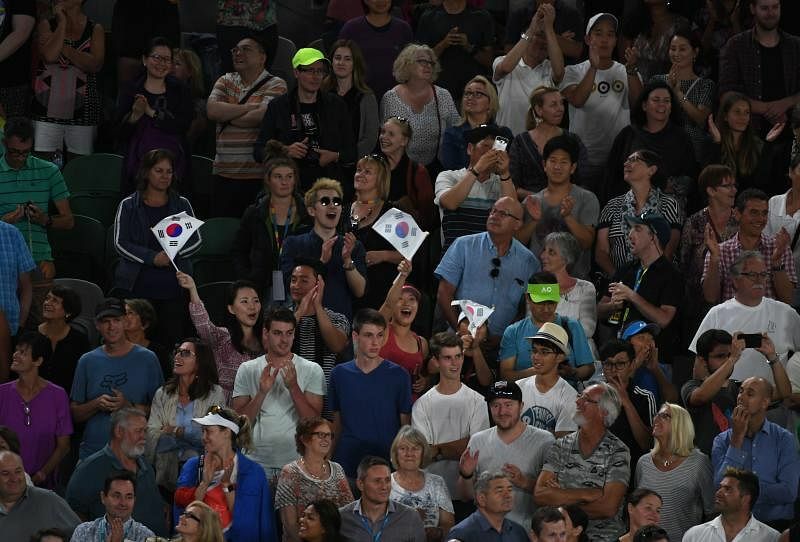 Rising South Korean tennis player Chung Hyeon stunned former world No. 1 and six-time champion Novak Djokovic at the Australian Open on Monday (Jan 22) in a sensational fourth-round upset. 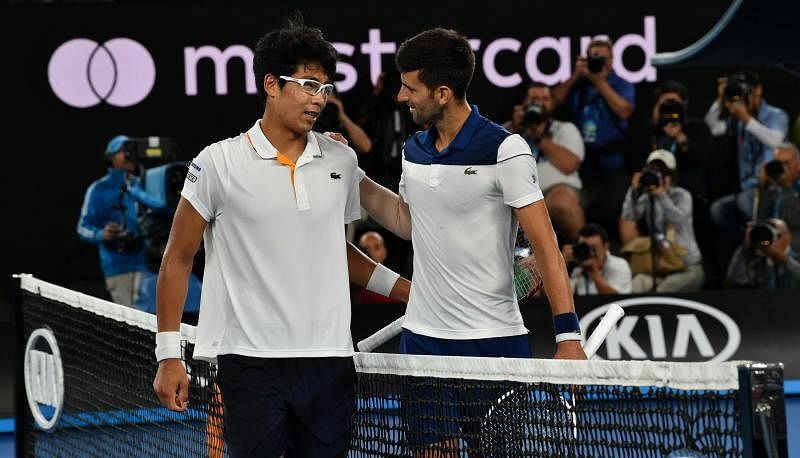 The bespectacled 21-year-old beat the battle-weary Serb, who had to be treated for his troublesome right elbow after the first set, 7-6 (7-4), 7-5, 7-6 (7-3) in a night match at the Rod Laver Arena. Only two other South Koreans have reached the round of 16 of any Major. They were Hyung Taik Lee at the men's singles at the US Open in 2000 and 2007, and Duk Hee Lee at the women's singles at the US Open in 1981. Last November (2017), Chung won the inaugural Next Gen ATP Finals, which featured fellow young guns Andrey Rublev, Karen Khachanov and Denis Shapovalov. It was South Korea's first ATP World Tour singles trophy since 2003. Chung will face unseeded American Tennys Sandgren, ranked No. 97, in the quarter-finals on Wednesday. Growing up, Chung looked up to Djokovic because of his "fantastic game and mental strength". He said at the end of Monday's match: "When I was young, I was trying to copy Novak because he's my idol. I can't believe this, dream's come true tonight." The last time Djokovic lost in straight sets in Melbourne was a 6-2, 7-5, 6-3 defeat to Roger Federer in the fourth round in 2007. 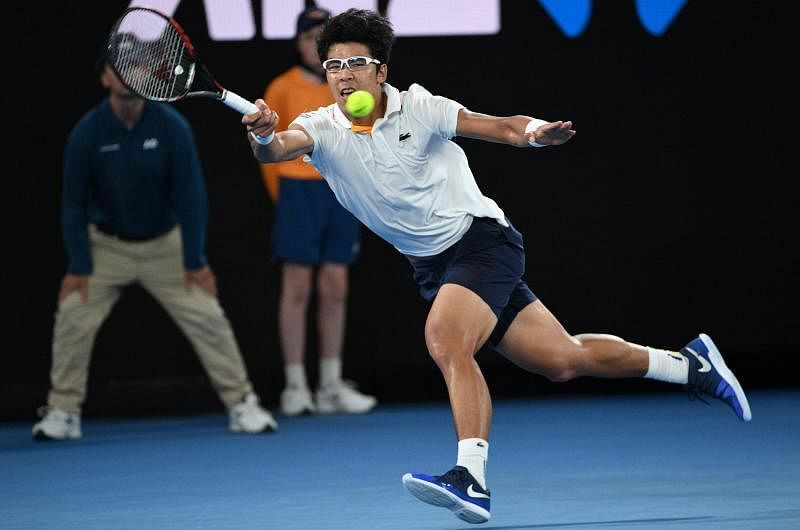 Chung picked up tennis when he was six years old with his parents and continued playing after doctors recommended that looking at the colour green would help with his weak eyesight. His father, Seok-Jin, was a tennis player and is now a tennis coach, and his older brother, Hong, plays the game too. At 13, he went to the US for two years, where he trained at the IMG Academy in Florida founded by Nick Bollettieri. Now, he is based in Seoul, where he is being coached by former South African player Neville Godwin. That year, he climbed 122 places in the world rankings to finish the season as the world No. 51. He also voted the "Most Improved Player of the Year" by his fellow players in the annual Association of Tennis Professionals awards.